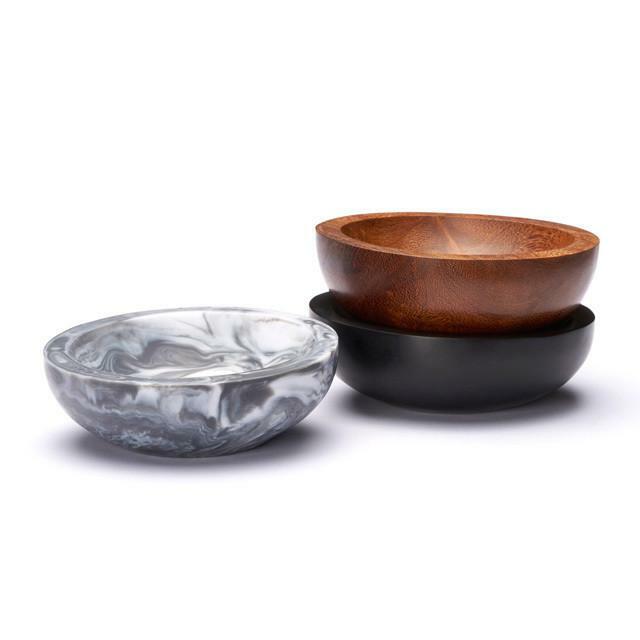 Mooku bowls are tactile and beautiful. Available in both resin and wood, and in a variety of sizes, you can group them for a table setting, use one to pop your favourite earrings or pendant in ready to wear tomorrow, or place one or two on a shelf or sideboard to style your home. Their sculptural shapes will contrast with the horizontal lines of a sideboard, bookcase or table to create a quiet balance. Your friends and family will admire their form. 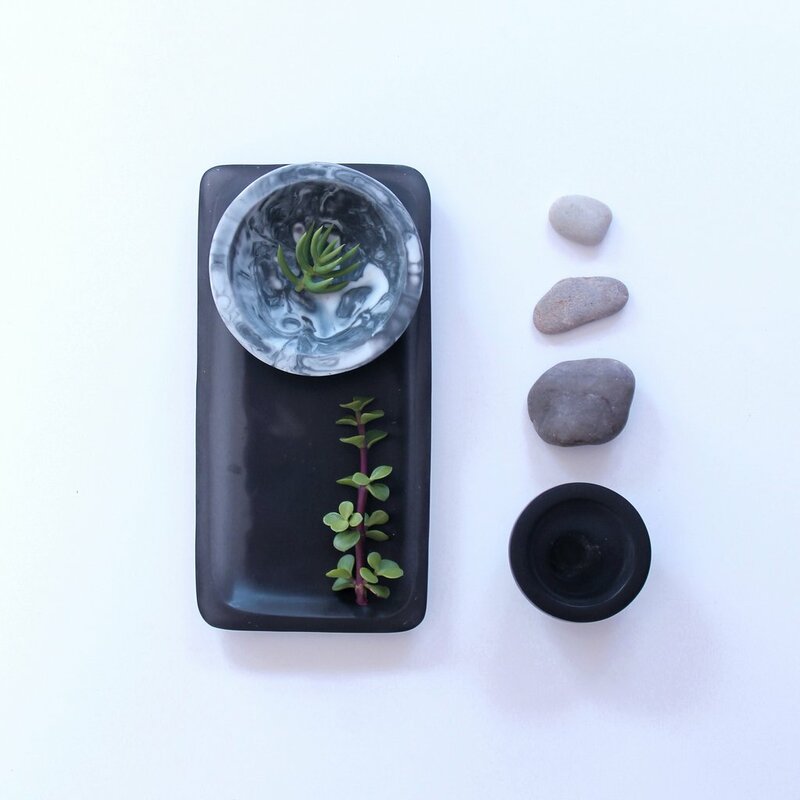 Mooku bowls are beautifully crafted, and handmade in Melbourne. These bowls are designed to hold small trinkets such as a piece of jewellery. They can also be used for cold dry food service. Ideal as a salt bowl. NOTE: Do not put near flame and do not use for hot food service.